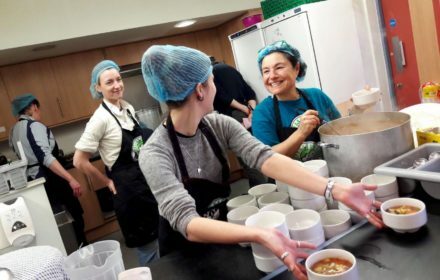 Volunteering with FoodCycle is the perfect way to get involved with what’s going on in your community, meet new people and make a real difference on your doorstep. All FoodCycle meals are made with surplus food donated from local groceries, supermarkets, suppliers and even allotments! This is food that would otherwise be sent to landfill but instead we turn it into delicious meals. By volunteering with us, you can be the one who turns a bunch of wonky carrots into a super soup. When you’re volunteering, you’ll be guaranteed to make someone’s day. Whether it’s collecting the food that will be used to make someone’s favourite dish, greeting a guest with a warm smile, or keeping the team motivated during the washing up, you’ll be spreading joy every time you volunteer. We understand one volunteer role doesn’t fit all, which is why we have a variety of roles for you to get involved with. From food pick up, to hosting, to social media and PR roles, we make it as easy as possible for you to put your skillset to good use. 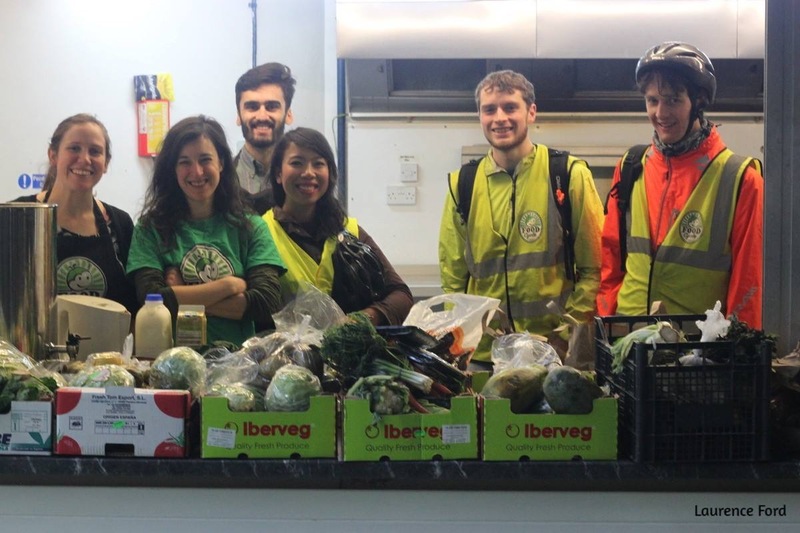 You might volunteer with FoodCycle because you want to learn new skills. Your first time picking up a peeler? No problem! When you volunteer with us, you’ll be volunteering as part of a team who are able to learn from each other to get the job done. We do some much more than serve meals. We help to create new connections and forge new friendships. All our volunteers play an integral role in making sure our guests can enjoy hearty conversation over a hot meal. We don’t expect you to be able to commit time to volunteering every week. That’s why our volunteer roles are flexible. You can sign up to volunteer as often as you like, whether that’s once a week or once a month. You won’t just be getting in touch with your local area, but becoming part of the wider FoodCycle community. We now run 39 projects across the country, stretching from Exeter to Newcastle, and we serve 1,400 people every week. 2019 marks 10 years since FoodCycle began so this is going to be a year of celebration and an exciting time to get involved. We have now served the equivalent of over 1 million meals using food that would otherwise go to waste. Not only can you be a part of helping us to serve the next million, but you can get involved with the different ways we will be celebrating this year, from fundraisers to birthday parties. 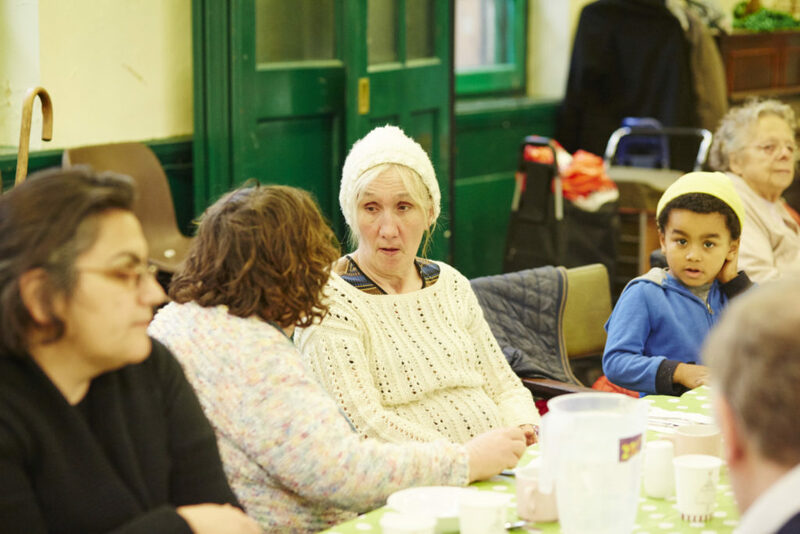 Food poverty is a reality that exists within communities across the country. Like so many other wonderful organisations, we’re doing our bit to make sure no one goes hungry. We simply couldn’t do this without our volunteers. Excited to get stuck in? Click here to find your nearest project and get signed up.